The lead singer of South Korea’s top boy band SHINee died on Monday aged 27, after being taken to hospital unconscious, according to reports. Kim Jong-hyun, known as Jonghyun, was found unconscious in a Seoul apartment. News channel YTN reported that the singer had checked into a serviced residence for two nights and was found unconscious by police. “On December 18, 2017 at 4:42PM Jonghyun’s older sister reported to Police that her brother was about to commit suicide,” said a statement from Gangnam Police, according to the Mirror. The newspaper reported that the cause of his death is suspected to be carbon monoxide poisoning. Fans are mourning the loss of the star after hearing the news. 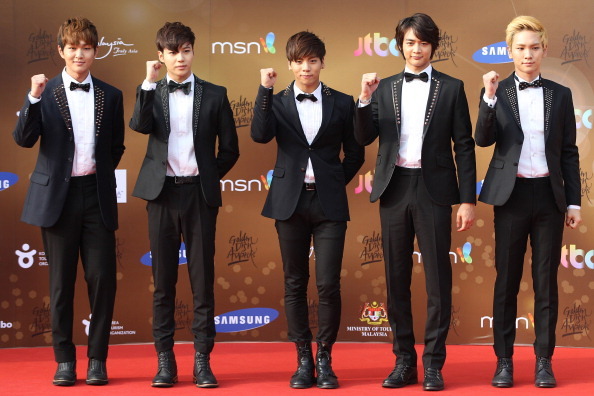 The band were referred to as the “the Princes of K Pop” and known for their dance skills. They released their fifth Japanese album Five this year.